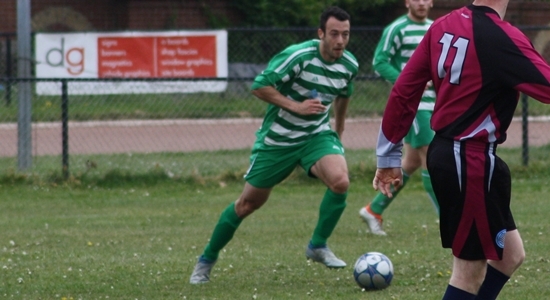 Byron Stretton scored his third and fourth goals of the season in the 4-2 win against Chantry Phoenix. In addition the brace saw him past his tenth goal for Playford. Byron joined the club in 2014 and immediately impressed, scoring the only Playford Reserves' goal against Borussia Martlesham and earning himself Man of the Match. He followed that up with two assists in two matches against Northam Celtic Reserves and Finninghm Fliers. Last season saw him score three on his way to Player's Player of the Season and this season has seen him hit the ground running, he is the Reserve Team's leading scorer with four in just two games. He has scored braces against Amboed and Chantry Phoenix.